​Alright Phillies fans, I know the season just ended a few days ago and you had a disappointing end to your 2018 campaign, but this will surely cheer you up. Bryce Harper, superstar outfielder for the Washington Nationals who is set to hit free agency this offseason, has been rumored to potentially want to join the Phillies. With his Instagram activity lately, however, it's clear that he's already starting to get to know ​Phillies young star Rhys Hoskins personally, which should get Phillies fans absolutely amped. 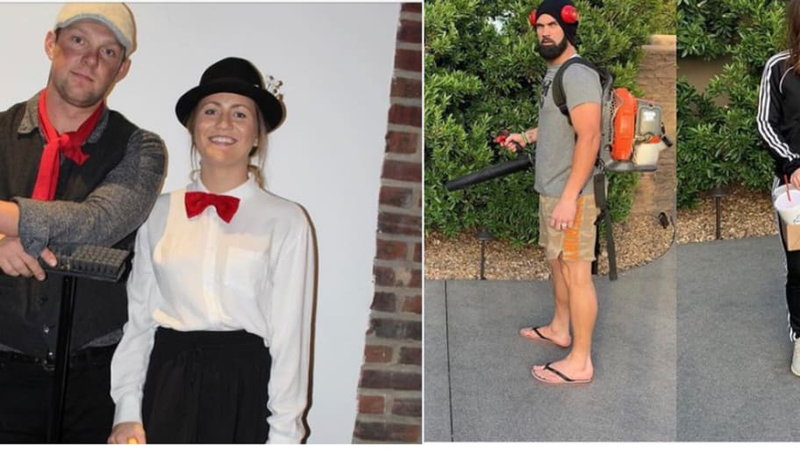 Both players decided to dress up for Halloween, and both liked the photos each one put up on Instagram. Could they just be buddies who like cool pictures? Sure, but with all of the rumors swirling about Harper heading to Philadelphia next season, it's just too ironic not to mention. It's also worth noting that they're both represented by the same agent, ​Scott Boras, so maybe he introduced the two and is getting them to build chemistry before they team up. With rumors coming from Boras that Harper already has a deal in place with a team, him liking Hoskins' pictures is a good sign for the City of Brotherly Love. Yeah, I'd say at this point the Phillies have a pretty good shot at landing Harper. Why would two division rivals who are supposed to hate each other be all friendly after the season, unless of course, they're about to go from bitter rivals to loving teammates. Gear up, Phillies fans. If you guys can land Harper, the NL East crown could be coming back home.